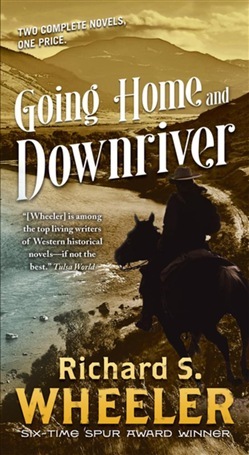 Mountain man Barnaby Skye and his Crow wife are back in Going Home and Downriver, two beloved installments of renowned Western writer Richard S. Wheeler's Spur Award-winning Skye's West series Going Home It is 1832, six years after he deserted the Royal Navy, when Barnaby Skye has a chance to return to England to clear his name and take up employment with the Hudson's Bay Company. With his devoted Crow wife, Victoria, an eccentric botanist named Alistair Nutmeg, and a strange pariah dog following along, Skye makes his way west to begin his journey home. But Skye is as much a magnet for trouble as he is a legend among mountain men. The legendary frontiersman fights Mexican bandits, murderous Pacific coastal Indians, thirst, starvation, and despair as he learns where home really is and what honor really means. Downriver In the summer of 1838, the beaver-trapping business is dying out. When Barnaby Skye is offered a chance to become a post trader in his Crow wife's homeland, he makes the journey to St. Louis to present himself as a candidate for the job to the mighty managers of the Upper Missouri Outfit. The 2,000-mile voyage down the Missouri River steamboat Otter offers dangers at every turn--but the real danger lies in another passenger on the paddlewheel steamer, the Creole fur brigade leader Alexandre Bonfils. This nefarious man is a rival for the job Skye is seeking and is determined to be the only candidate by the time the Otter reaches the city. This edition of the book is the deluxe, tall rack mass market paperback. At the Publisher's request, this title is being sold without Digital Rights Management Software (DRM) applied. 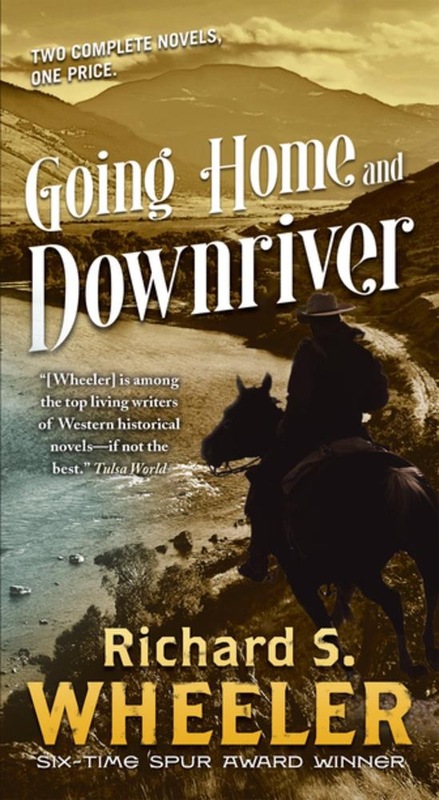 Acquista Going Home and Downriver in Epub: dopo aver letto l’ebook Going Home and Downriver di Richard S. Wheeler ti invitiamo a lasciarci una Recensione qui sotto: sarà utile agli utenti che non abbiano ancora letto questo libro e che vogliano avere delle opinioni altrui. L’opinione su di un libro è molto soggettiva e per questo leggere eventuali recensioni negative non ci dovrà frenare dall’acquisto, anzi dovrà spingerci ad acquistare il libro in fretta per poter dire la nostra ed eventualmente smentire quanto commentato da altri, contribuendo ad arricchire più possibile i commenti e dare sempre più spunti di confronto al pubblico online.